You Could Save 30% ! The my Driving Discount program rewards your safe driving habits. 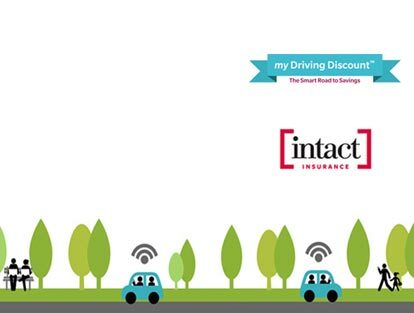 Available through Intact Insurance, my Driving Discount is a usage based insurance (UBI). It rewards safe driving behaviour and gives you the opportunity to save up to 30% off your car insurance premium. The safer you drive, the more you could save! Drive Safe & Save Big With my Driving Discount! The my Driving Discount program recognizes your good driving habits. Available through the Intact Insurance app, you can track your potential savings through your smartphone. YOU have the power to improve your car insurance discount. Get ongoing reminders, feedback and tips to help you improve your driving and SAVE MORE. Receive a one-time 5% enrollment discount just for signing up! Why Get my Driving Discount With Intact Insurance? Get immediate savings : You will get a 5% discount just for signing up. Greater savings as you drive : Get a chance for a personal discount and save up to 30% more for being a good driver. You're in control : You can maintain or improve upon your discount every six months. All you have to do is drive safe. You pay a car insurance premium based on how you drive, not others. You have better control over insurance costs when you're rewarded for your good driving. Convenience : Access the program, driving profile and data through the Intact Insurance app on your smartphone. Simplicity : Simply install the app on your smartphone and let the technology do the work. 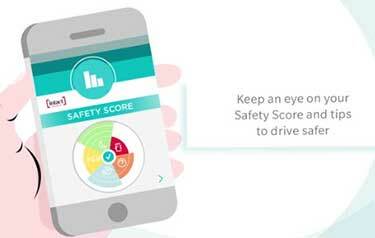 The app will assess your driving behaviour using smart technology. Safety : The program rewards your good driving behaviour – the safer you drive, the more you can save! IT'S RISK FREE : No matter how you drive, your premiums WILL NOT increase based on the data collected. You get significant savings from your good driving habits. Or you learn what habits need to be improved to achieve greater savings. In any event, you can't lose! Call toll-free 1-855-550-5515 to get a quote or learn more about the Intact my Drivers Discount program. How Does Intact My Drivers Discount Work? 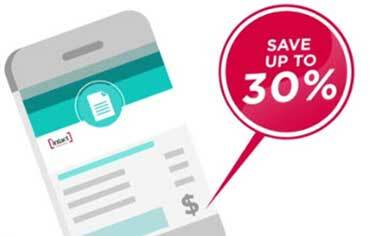 The my Driving Discount program operates using your smartphone. It accesses your smartphones GPS, accelerometer, and gyroscope, to assess how safely your drive. It uses this data to calculate your potential car insurance discount. You will receive an immediate 5% enrollment discount, and if you drive safely you could save up to 30% off your car insurance. Contact your broker : Enroll for the program through a broker. Activation : The program is activated and accessed through the Intact Insurance app. 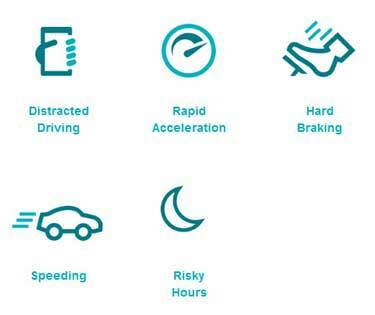 Start driving : The app assesses safe driving events, such as hard braking, speed, and other factors. Discount awarded : You will receive a discount based on your driving behaviour after each data collection period. Discounts are awarded approximately every 6 months (180 days). You must drive a minimum of 1,000 km during each data collection period. How Is The Personalized my Driving Discount Calculated? This driving data is continuously measured when you are enrolled in the program. What Do I Need To Use The my Driving Discount App? You must be the is principal operator of the vehicle. You must have an iPhone with iOS 10 or later, or an Android with version 5 or later, and a data plan. The app only consumes about 3%-6% of your batter life per hour. It uses approximately 30 – 60 MB of data per month. How Do I Start Using my Driving Discount? 1. Enroll : Add my Driving Discount to your policy. Sign up through your insurance broker. 2. Install : You’ll receive a welcome email and confirmation text. Follow the link to download the Intact Insurance app from the App Store or Google Play. 3. Log In : Open the app and follow the steps to set up your account. You will need you email, policy number and drivers license to log in for the first time. You are ready to start SAVING! Going easy on the brakes is easier on the wallet. While sometimes unavoidable, hard braking increases the likelihood of an accident occurring. To avoid a hard braking event (which is defined as decelerating 12 km/h in less than 1 second), keep your eyes and mind on vehicles around you. Maintain a safe speed and distance between you and the vehicle ahead of you. By not accelerating your car, you can accelerate savings. Rapid acceleration increases the likelihood of an accident occurring. Allowing enough time to get your destination safely is probably the easiest way to avoid the excessive acceleration (defined as accelerating 12 km/h in less than 1 second) that could affect your discount. Avoiding driving later can bring you savings sooner. With factors such as reduced visibility and increased fatigue, driving between midnight and 4 a.m. has been statistically proven to increase the risk of being involved in an accident. So if you can avoid doing much driving during high-risk times, you'll begin building projected savings sooner. 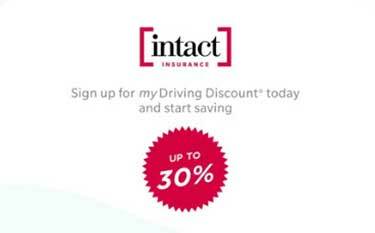 What Are The Benefits Of Intact my Driving Discount? You can track your driving habits and data. You can see your potential discount. It can help you save more money when it comes time to renew your policy. You have access to valuable driving tips. It can help you be a safer driver and be more aware of your driving habit. Many drivers are concerned that installing a usage based car insurance device and tracking their driving will actually cause their rates to increase. This is not true. Once you install the device, your potential savings are in your hands. The better your driving habits, the more you can save on car insurance, and the more you can save on your next car insurance policy renewal. Why Are More People Turning To Usage Based Car Insurance? While telematics has been used as the foundation of usage based car insurance for some time in Europe and the United States, it's still quite new to drivers in Canada and Ontario. Intact Insurance Company, Canada's largest home, auto and business insurance company, is a leader in protecting things that are important to Canadians. That includes protecting the money you've earned – by helping you save more of it. Get Your Intact my Driving Discount Now. It's Quick And Easy! 1. Sign Up And Save 5%! Signing up for the my Driving Discount program is quick, easy and saves you money right away. You get an automatic 5% discount as soon as you sign up. 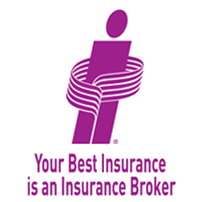 Enroll in the my Driving Discount program through a ThinkInsure broker by calling 1-855-550-5515. Start driving – and start to see how much you can save. After 180 days there will be enough data collected to calculate what you're on track to save. Will it be 10%? 15%? On the app you'll learn how you can improve your driving habits to save more. Depending on your existing or improved driving habits, you could save as much as 30% off your car insurance when it comes time to renew. Call 1-855-550-5515 to get a quote or learn more about my Drivers Discount from Intact .